Cloud technology has changed how organizations work. From the way customers are tracked and managed to the way files are stored to the tracking of our vacation days, cloud technology has provided accessible, easy to deploy software across all functions that has resulted in huge productivity gains. 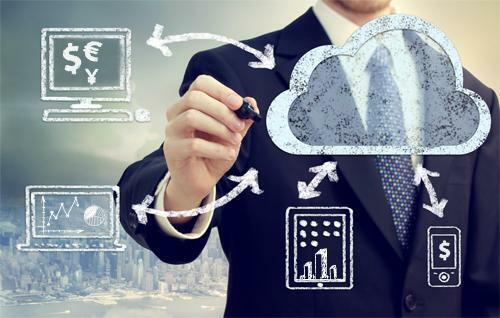 While finance historically has been slower to adopt cloud technology, that is now changing. As uncovered by a recent CFO survey, 73 percent of CFOs said that they trust the cloud with their data, more than double the number who trusted the cloud three years ago (33 percent). What’s behind this dramatic and rapid shift to adopt cloud technologies within finance? There are three key drivers for finance teams adopting the cloud: the need to be more agile, more collaborative, and more strategic. Organizations of all sizes and in all industries are moving to more agile planning processes in order to respond to rapidly emerging new sources of competition, rapidly shifting business models, and increasingly unpredictable economic and market conditions. Planning and analysis agility is greatly enhanced by the cloud due to its 24/7 accessibility, the ability to integrate with other data sources across the organization, and the intuitive user interfaces inherent in many cloud applications that allow for rapid scenario analysis and quick modifications for changing business model assumptions. Collaboration is enhanced by this intuitive UI as more managers around the organization are able to participate. Rapid access to data, both historical and forecast, through self-service, cloud-based reporting and analytics further drive collaboration. Finally, the efficiencies gained through the agility and collaboration brought on by cloud technology enable finance to elevate its role to a more strategic partnership with the management team. Cloud technologies are also helping finance to manage the ever-increasing amounts of data generated within an organization today by streamlining integration and bringing financial and operational data from disparate systems together in one place accessible by all managers. There’s no end in sight to this data explosion, as CFOs expect an increase from 25 percent to 50 percent in data volume, on average, over the next five years. As important, that data is no longer restricted to just financial data. But this data explosion is proving to be a challenge for CFOs and their teams as today only 35 percent of CFOs are confident they have access to the financial and operational data they need to make critical business decisions in a timely manner. It’s no surprise then that 77 percent of CFOs surveyed admit that major business decisions have been delayed due to a lack of access to information. This represents one of the biggest challenges CFOs face, as they, ultimately, bear the responsibility for having the data, analysis, and insights to enable timely business-critical decisions. This is where cloud technology shines. With better data integration, easier to use analytics, self-service reporting, and collaborative planning platforms, cloud technology can provide the on-demand access to data that CFOs desire, stored in a single source of truth—or single system of record—all in the cloud. According to the CFO survey, many CFOs have already begun the process. Nearly 40 percent of CFOs indicated they are currently working on a single source of truth for the combination of both financial and operational data. Increasingly housed in the cloud, these single systems provide a combination of actuals, likely from an ERP system, combined with operational data spanning sales, HR, manufacturing, etc. from across the organization. This holistic view of the organization provides the visibility needed to make timely and data-driven decisions. But there are challenges with the newly found planning and analytics empowerment. Finance teams have traditionally worked somewhat siloed but now are being asked to integrate more with the business, to understand key drivers behind the data that they manage and on which they report. Expanded skill sets are also needed, including business model acumen, communication and collaboration skills, and the ability to partner strategically with the rest of the management team. In a 2016 CFO survey, 70 percent of CFOs cited collaboration as a top priority for their teams and 75 percent cited interpersonal communications as a critical skill. Finance teams that embrace these requirements will be able to add the value CFOs desire from their teams and fully leverage the potential of cloud-based software. This all signals good news for finance professionals. In fact, it’s a great time to be in finance. With cloud technology, finance can achieve the agility and collaboration they need, while becoming a more strategic partner to the management team. Previous story Linux now powers 100% of the world’s 500 fastest supercomputers.